These little women just got another baby sister! And mom and Dad couldn't be more in love with all their girls. 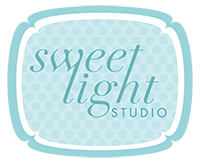 We were able to get so many sweet pictures with the newest addition in the studio during their family/newborn family family session.